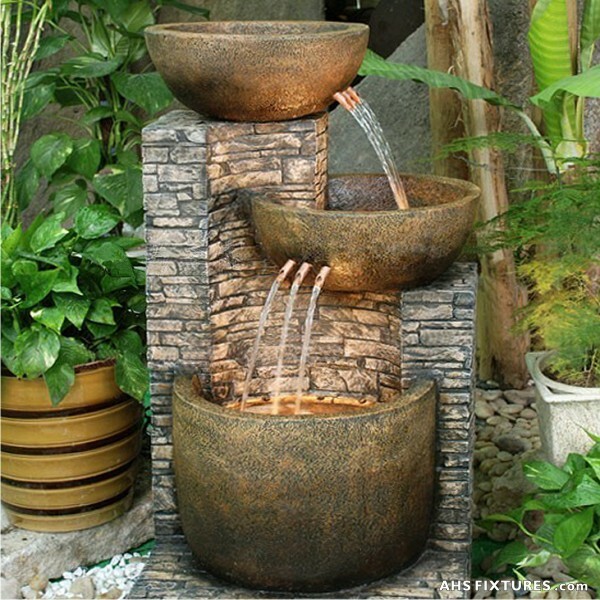 Create a soothing and relaxing environment that's perfect for unwinding at the end of the day with the unique 3 Tier Cascading Pot Garden Fountain. Constructed of resin, this traditionally-styled fountain is extremely weather-resistant, and will continue to look like new season after season. Water gently spills out of two tiers before falling to the bottom basin where it is pumped back up to the top tier. This fountain emits an audible, but relaxing sound of water flow, and it will be a stunning addition to your garden or patio. Fluted details and a classic finish give it a timeless style you'll enjoy year after year.